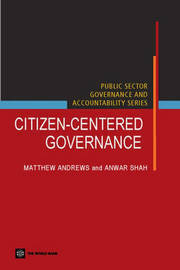 The development literature is replete with failed attempts to reform public sector governance in developing countries. 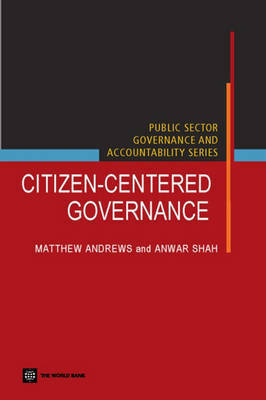 This book, written by Matthew Andrews and Anwar Shah, argues that technocratic approaches to public sector reform are unlikely to succeed in the future as well. Instead citizen empowerment through a rights-based approach to demand accountability from their governments and a results-based culture of governance holds significant potential for success. The authors present a comprehensive framework to accomplish these goals through institutional reforms, and they highlight examples from international practices in which elements of such approaches have been implemented. This important new series represents a response to several independent evaluations in recent years that have argued that development practitioners and policy makers dealing with public sector reforms in developing countries and, indeed, anyone with a concern for effective public governance could benefit from a synthesis of newer perspectives on public sector reforms. This series distills current wisdom and presents tools of analysis for improving the efficiency, equity, and efficacy of the public sector. Leading public policy experts and practitioners have contributed to the series.